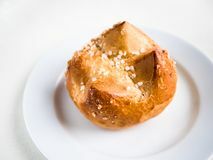 6,185 brioche bun stock images are available royalty-free. 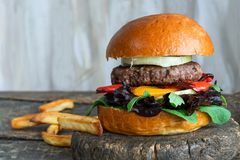 Burger and fries with a brioche bun. 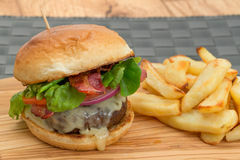 Cheeseburger and fries with a brioche bun - studio shot with a shallow depth of field French brioche snail bun. 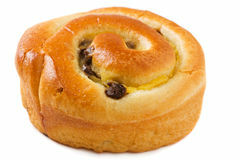 French sweet brioche snail bun with raisins served with a cup of coffee Burger and fries with a brioche bun. 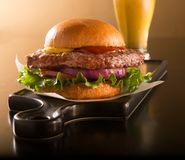 Cheeseburger and fries with a brioche bun - studio shot with a shallow depth of field Chocolate chip brioche bun over white. Golden brown chocolate chip brioche bun over white background Venison burger in brioche bun. 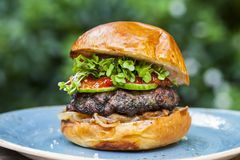 With peppery leaf salad, onion, roast peppers and lingonberry sauce Venison burger in brioche bun. With peppery leaf salad, onion and roast peppers Venison burger in brioche bun. 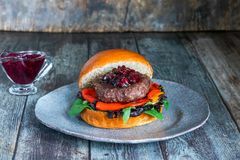 With peppery leaf salad, onion, roast peppers and lingonberry sauce Venison burger in brioche bun. 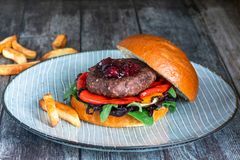 With peppery leaf salad, onion, roast peppers and lingonberry sauce Venison burger in brioche bun. 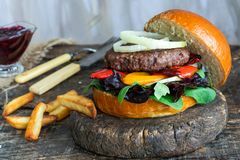 With peppery leaf salad, onion and roast peppers Venison burger in brioche bun. 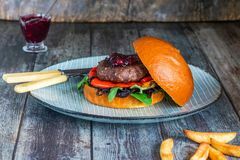 With peppery leaf salad, onion, roast peppers and lingonberry sauce Venison burger in brioche bun. 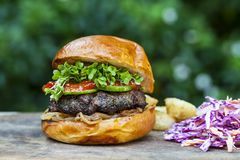 With peppery leaf salad, onion, roast peppers and lingonberry sauce Venison burger in brioche bun. 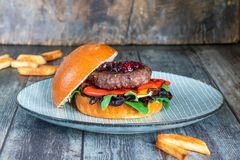 With peppery leaf salad, onion, roast peppers and lingonberry sauce Venison burger in brioche bun. 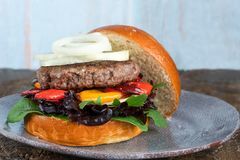 With peppery leaf salad, onion, roast peppers and lingonberry sauce Venison burger in brioche bun. With peppery leaf salad, onion, roast peppers and lingonberry sauce Venison burger in brioche bun. 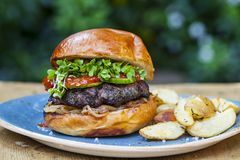 With peppery leaf salad, onion and roast peppers Hamburger on a brioche bun with a beer. 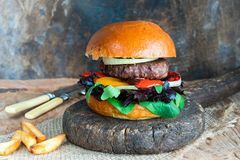 Hamburger half pound of beef on a brioche bun on a black plate with a beer Venison burger in brioche bun. 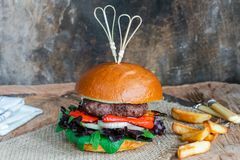 With peppery leaf salad, onion, roast peppers and lingonberry sauce Venison burger in brioche bun. With peppery leaf salad, onion and roast peppers Venison burger in brioche bun. With peppery leaf salad, onion and roast peppers Venison burger in brioche bun. 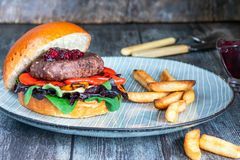 With peppery leaf salad, onion, roast peppers and lingonberry sauce Venison burger in brioche bun. 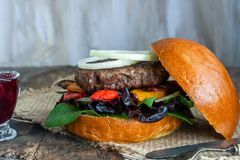 With peppery leaf salad, onion, roast peppers and lingonberry sauce Venison burger in brioche bun. With peppery leaf salad, onion, roast peppers and lingonberry sauce Venison burger in brioche bun. 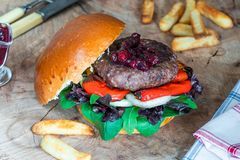 With peppery leaf salad, onion, roast peppers and lingonberry sauce Venison burger in brioche bun. With peppery leaf salad, onion, roast peppers and lingonberry sauce Venison burger in brioche bun. 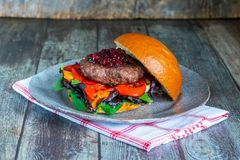 With peppery leaf salad, onion, roast peppers and lingonberry sauce Venison burger in brioche bun. With peppery leaf salad, onion and roast peppers Young woman holds in hand freshly baked yeast brioche bun green house plants background. Easter holiday baking. Morning breakfast. Coffee pastry concept Freshly baked yeast brioche bun on white plate on green house plants background. Easter holiday baking. Morning breakfast. 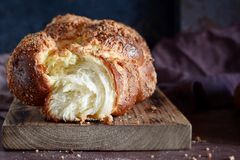 Coffee pastry concept. Authentic Young woman holds in hand freshly baked brioche bun green house plants background. Easter holiday baking. Morning breakfast. Coffee pastry concept. 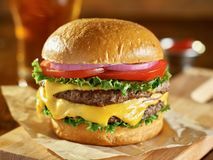 Authentic Cheeseburger with lettuce, tomato, and onion on a brioche bun. 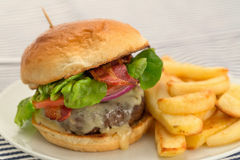 Thick tasty bacon cheese burger on brioche bun served with fries on plate. 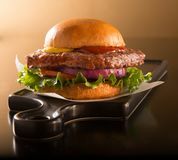 Shot with selective focus Hamburger on brioche bun on a black plate. Hamburger half pound of beef on a brioche bun on a black plate French Brioche Bun. 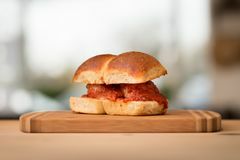 On wooden board, on wooden background A homemade meatball sandwich on a nice brioche bun. A homemade meatball sandwich on a nice brioche bun A homemade meatball sandwich on a nice brioche bun. A homemade meatball sandwich on a nice brioche bun Piece of French Brioche Bun. 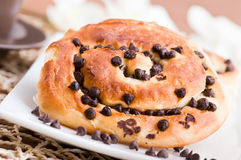 With Chocolate Filling on brown plate, on wooden background Single brioche, French bun on a white plate and background. 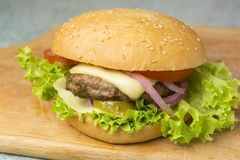 Horizontal view from above of a single brioche, French bun, on a white plate and background Beetroot burger in a brioche bun. 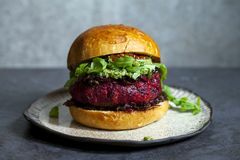 Beetroot and red kidney beans burger with caramelized onion and pesto in brioche bun Beetroot burger in a brioche bun. 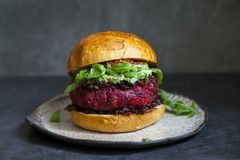 Beetroot and red kidney beans burger with caramelized onion and pesto in brioche bun Beetroot burger in a brioche bun. 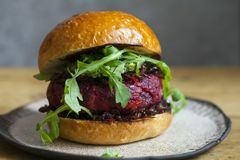 Beetroot and red kidney beans burger with caramelized onion and pesto in brioche bun Beetroot burger in a brioche bun. Beetroot and red kidney beans burger with caramelized onion and pesto in brioche bun Beetroot burger in a brioche bun. Beetroot and red kidney beans burger with caramelized onion and pesto in brioche bun Beetroot burger in a brioche bun. Beetroot and red kidney beans burger with caramelized onion and pesto in brioche bun Beetroot burger in a brioche bun. 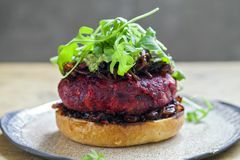 Beetroot and red kidney beans burger with caramelized onion and pesto in brioche bun Brioche bun with burger, fried onions, pickled cucumber and cress. Brioche bun with chicken burger, avocado, pickled cucumber, red cabbage coleslaw and cress in Brioche bun with burger, fried onions, pickled cucumber and cress. Brioche bun with chicken burger, avocado, pickled cucumber, red cabbage coleslaw and cress in Brioche bun with burger, fried onions, pickled cucumber and cress. Brioche bun with beef burger, fried onions, pickled cucumber and cress in the outdoor setting Brioche bun with burger, fried onions, pickled cucumber and cress. 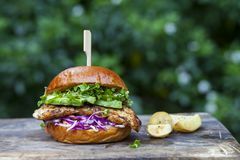 Brioche bun with chicken burger, avocado, pickled cucumber, red cabbage coleslaw and cress in Brioche bun with burger, fried onions, pickled cucumber and cress. Brioche bun with beef burger, fried onions, pickled cucumber and cress in the outdoor setting Brioche bun with burger, fried onions, pickled cucumber and cress. 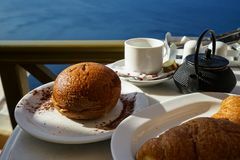 Brioche bun with beef burger, fried onions, pickled cucumber and cress in the outdoor setting Breakfast with Aegean sea view and morning sunlight including hot tea, croissant and chocolate brioche bun on white marble table. Next to olive green balcony Sweet brioche bun with glaze and almonds close-up. vertical. Sweet brioche bun with glaze and almonds close-up on the table. 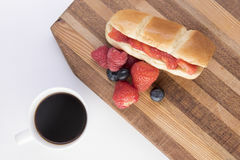 vertical Brioche bun with strawberries, blueberries and raspberries. On a chopping board with black coffee Homemade brioche bun and two glasses of milk. 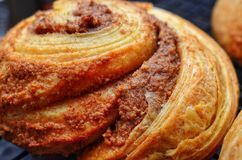 On a light rustic wood background Brioche Style Cinnamon Bun close up. 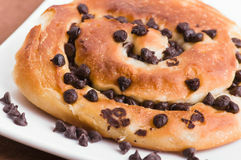 A delicious layered brioche style cinnamon bun with almond filling Chocolate chip brioche bun. Close up of chocolate chip brioche bun Chocolate chip brioche bun. Close up of chocolate chip brioche bun Chocolate chip brioche bun. Close up of chocolate chip brioche bun Double cheeseburger on brioche bun. Double cheeseburger with lettuce, tomato, onion, and melted american cheese Gourmet burger in sesame seeded brioche bun. 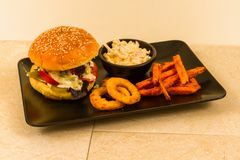 Gourmet beef burger, with salad, blue cheese sauce, sweet potato fries, onion rings and coleslaw Gourmet burger in sesame seeded brioche bun. 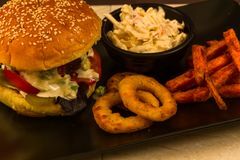 Gourmet beef burger, with salad, blue cheese sauce, sweet potato fries, onion rings and coleslaw Gourmet burger in sesame seeded brioche bun. 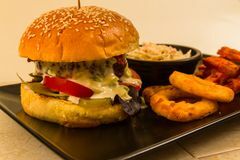 Gourmet beef burger, with salad, blue cheese sauce, sweet potato fries, onion rings and coleslaw Gourmet burger in sesame seeded brioche bun. 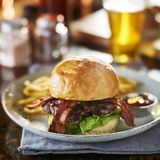 Gourmet beef burger, with salad, blue cheese sauce, sweet potato fries, onion rings and coleslaw Gourmet burger in sesame seeded brioche bun. Gourmet beef burger, with salad, blue cheese sauce, sweet potato fries, onion rings and coleslaw Gourmet burger in sesame seeded brioche bun. Gourmet beef burger, with salad, blue cheese sauce, sweet potato fries, onion rings and coleslaw Gourmet burger in sesame seeded brioche bun. Gourmet beef burger, with salad, blue cheese sauce, sweet potato fries, onion rings and coleslaw Gourmet burger in sesame seeded brioche bun. Gourmet beef burger, with salad, blue cheese sauce, sweet potato fries, onion rings and coleslaw Gourmet burger in sesame seeded brioche bun. 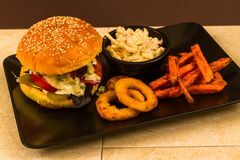 Gourmet beef burger, with salad, blue cheese sauce, sweet potato fries, onion rings and coleslaw Challah or Hala is a traditional jewish sweet fresh sabbath bread loaf, fresh bun on cutting board. Brioche bread on breakfast. Table. 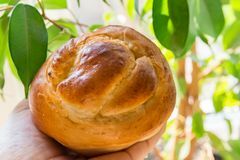 The golden glaze of these Challah or Hala is a traditional jewish sweet fresh sabbath bread loaf, fresh bun on cutting board. Brioche bread on breakfast. Table. The golden glaze of these Challah or Hala is a traditional jewish sweet fresh sabbath bread loaf, fresh bun on cutting board. Brioche bread on breakfast. Table. The golden glaze of these Challah or Hala is a traditional jewish sweet fresh sabbath bread loaf, fresh bun on cutting board. Brioche bread on breakfast. Table. The golden glaze of these Challah or Hala is a traditional jewish sweet fresh sabbath bread loaf, fresh bun on cutting board. Brioche bread on breakfast. Table. The golden glaze of these Challah or Hala is a traditional jewish sweet fresh sabbath bread loaf, fresh bun on cutting board. Brioche bread on breakfast. Table. 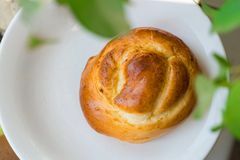 The golden glaze of these Challah or Hala is a traditional jewish sweet fresh sabbath bread loaf, fresh bun on cutting board. Brioche bread on breakfast. Table. 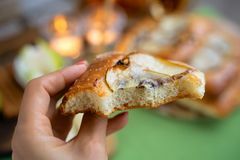 The golden glaze of these French brioche bun with pear, honey and tea on wooden table. 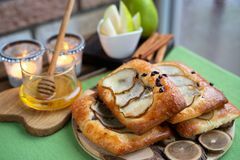 French brioche bun with pear, honey and tea on wooden table. 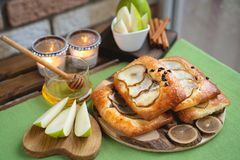 French brioche bun with pear, honey and tea on wooden table. 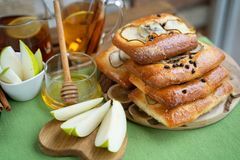 French brioche bun with pear, honey and tea on wooden table. 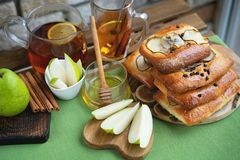 French brioche bun with pear, honey and tea on wooden table.